抄録: Stand transpiration (E) estimated using the sap flux methods is affected by the azimuthal, radial, and tree-to-tree variations of sap flux. Although several studies have examined the relative importance of the three variations in estimating E, the seasonality of the three variations remains unknown. In the current study, we attempted to clarify whether the relative importance of these three variations could show seasonal changes. Using sap flux data measured in a subtropical cloud forest from August 2010 to July 2011, we calculated the differences resulting from omitting the three variations in estimating E. The effects of the three variations in estimating E showed seasonality. The azimuthal and tree-to-tree variations were more pronounced during winter, whereas the radial variation was more pronounced during summer. However, the effect of tree-to-tree variation was consistently much larger than the other two variations throughout the study period. The tree-to-tree variation is more important in estimating E monthly, seasonally and annually than both the azimuthal and radial variations, although all three variations have shown seasonality. In addition, the sensor allocation for summer would be acceptable for the practical estimation of E if aiming at the long time scale. 抄録: Previous studies have demonstrated a clear relationship between diameter at breast height (DBH) and tree transpiration (QT) in multi-specific broadleaved forests. However, these studies were conducted with a limited range of tree sizes and species, and thus many multi-specific broadleaved forests fall outside these conditions. Therefore, this study examined the relationship between DBH and QT in a warm-temperate multi-specific broadleaved forest (n = 12 species) with a wide range of tree sizes (5.0–70.0 cm DBH) using the Granier-type heat dissipation method. The results showed that, although sap flow density varied between individual trees and species, there was a significant relationship between log QT and log DBH (r2 = 0.66, P < 0.001) because of the strong dependence of sapwood area on DBH. This study confirmed the applicability of the relationship for the stand transpiration (EC) estimates even in a multi-specific broadleaved forest with a wide variation in DBH. Our results also revealed that selecting the sample trees in descending order of DBH effectively reduced potential errors in EC estimates for a specific sample size, as larger trees contribute more to EC. This information should be useful for future studies investigating the transpiration of multi-specific broadleaved forests, reducing errors during the scaling-up procedure. 抄録: Pinus parviflora Sieb. et Zucc. var. parviflora is a coniferous tree species distributed in mountainous areas of temperate zones from southern Tohoku to the Kyushu area in Japan. Some P. parviflora populations have become small and endangered due to massive death resulting from pine wilt disease, scab canker, and presumably climate change. 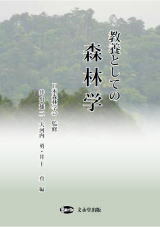 We developed 11 microsatellite markers for P. parviflora by the dual-suppression technique and next-generation sequencing using 32 individuals of P. parviflora collected from Aokigahara at the foot of Mt. Fuji. The number of alleles for each locus ranged from two to 10. The averages of observed and expected heterozygosities were 0.61 and 0.59, respectively. These markers will become powerful tools for assessing genetic diversity, genetic connectivity, and genetic structure in P. parviflora populations, which will facilitate our understanding and conservation of P. parviflora.